Please note that planning services for Electoral Area 'B' (Gabriola, Mudge, Link, Decourcy, and Ruxton Islands) are provided by the Islands Trust. The Islands Trust Northern office (located on Gabriola Island) can be reached at (250) 247-2063.
to administer land use bylaws, regulations, and policies. What is the relationship between zoning bylaws, Official Community Plans, and the RDN's Regional Growth Strategy? 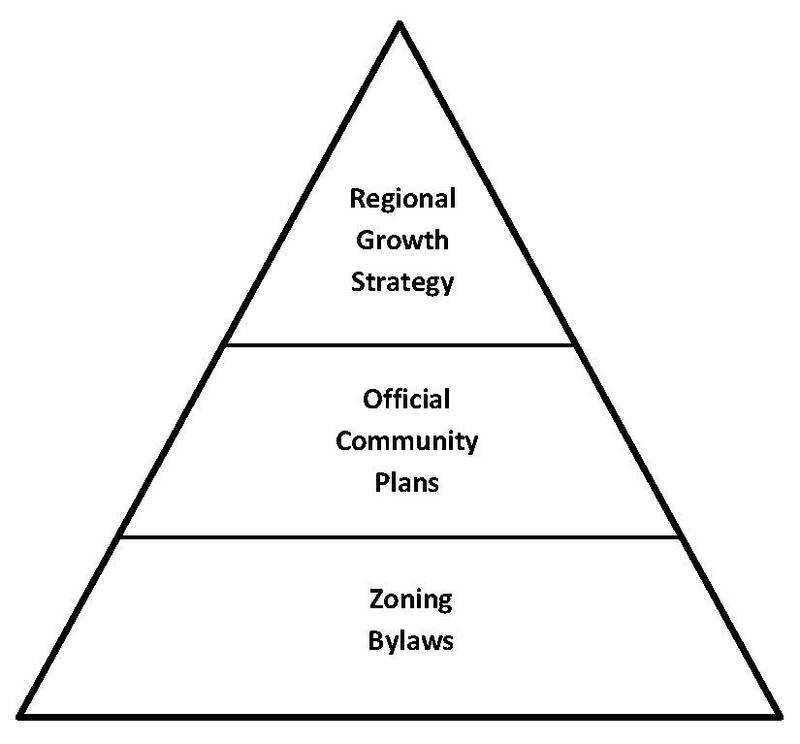 The RDN's Regional Growth Strategy, Official Community Plans, and zoning bylaws have a hierarchical relationship, and each document is adopted by bylaw. The Regional Growth Strategy is a strategic planning document that provides a regional vision to the RDN's Electoral Areas and member municipalities and guides long range planning and sustainable growth. All subsequent bylaws (such as Official Community Plans) and services (such as Water Service Areas) implemented by the RDN must be consistent with the Regional Growth Strategy. Each Electoral Area within the RDN has adopted an Official Community Plan, which provides a policy framework and long-term strategy for land use designations, development, and servicing. The goals of the Official Community Plans are implemented primarily through zoning bylaws. Zoning bylaws regulate specific uses of land and buildings in the Electoral Areas.